Yogi Tea Bedtime Tea with Organic Chamomile Caffeine Free promotes restful sleep. Relax, tuck yourself into bed and get a restful nightâ€™s sleep with a cup of our delicious Bedtime tea. This blend is a soothing combination of herbs traditionally used for centuries to promote relaxation and sleep. Valerian and Organic Chamomile can help calm occasional nervousness and restlessness. Then we add Passionflower, used in Native American blends to helps reduce every day stress to support sleep. Licorice, Cardamom and Cinnamon add a delicious, warming flavor thatâ€™s just right for drinking before bedtime. So, relax and drink Yogi Bedtime teaâ€”for a good nightâ€™s sleep. Yogi has been creating all-natural and organic teas for more than 30 years. Their philosophy is simple: they believe wholesome, unprocessed foods are the best way to enjoy essential health benefits complimented by intriguing, delightful flavors - qualities that make all of their products uniquely Yogi. Tasting great is essential, but it isn't enough. If what they make doesn't taste great and leave you feeling great, they won't make it. They think before they blend or bake. How will their recipes work with body and mind? Health is found in nature. They work with what nature already offers rather than trying to concoct it. They don't have laboratories, they have kitchens. Creative combinations can optimize what nature has to offer. Ever added Goji Berry to Ginger? They work together to produce a remarkably fresh and innovative taste... and a remarkable level of energy. Whenever possible, they work with wholes, not parts. They don't add vitamin C. They add Indian Gooseberry, which is naturally rich in vitamin C.
To ensure consistency and quality, Yogi ingredients are meticulously reviewed and tested for insecticides, pesticides and heavy metals. Their ingredients are handled carefully, from the time they're harvested, through the manufacturing process in their organically certified facility. They strictly adhere to the prohibition of GMO ingredients as required by the National Organic Program of the U.S. Department of Agriculture and by Quality Assurance International (QAI), their third party organic certifier.This process ensures Yogi teas are made to their own scrutinizing standards and ultimately deliver unsurpassed quality to you, their customer. Yogi has about 60 varieties of herbal, green, and black teas. While some of the teas contain caffeine, many are naturally caffeine free, and they also offer several that contain decaffeinated green tea leaf. Caffeine content information can be found in two different places on Yogi tea cartons. On the front of the carton, near the bottom, it will say either 'caffeine free,' 'decaffeinated', or 'contains caffeine.' You can also look at the Supplement Facts panel on the outer carton to find out if a particular Yogi tea contains caffeine. If it does, the caffeine amount would be noted beneath the ingredient list. Yes, all Yogi teas and the natural flavors used in the teas are vegan. Yes, all Yogi teas are Kosher certified and parve certified through Orthodox Union. Yogi takes a very conservative stand whenever individual health issues, especially food sensitivities are concerned. All natural flavors used in Yogi teas are gluten-free as are the tea bag material and packaging. Yogi has over sixty varieties of tea, and only four of their current recipes contain barley malt, and therefore gluten: Calming, Healthy Fasting, Kava Stress Relief, and Stomach Ease. At this time, Yogi is pleased to share that they are in the final stages of examining the removal of barley malt from these four formulas without disrupting the flavor of the teas. Expect the transition to gluten-free versions of all four teas by the second half of 2015. What kind of paper is used for Yogi's tea bags? Yogi uses a non-heat sealable filtration paper made from a select blend of high quality manila hemp (abaca) fibers and wood pulp. It does not contain epichlorohydrin, nor plastic, or polypropylene. The filtration paper is oxygen bleached using a natural process that is completely free of chemicals or toxins, including dioxin. Are Yogi teas GMO free? Yes, all Yogi teas are GMO free. They are in the final stages of solidifying a partnership with the Non-GMO Project. Do any Yogi teas contain any known allergens? All Yogi teas are made without any of the eight FDA recognized allergens and therefore do not contain milk, eggs, fish, crustacean shellfish, tree nuts, peanuts, wheat, or soybeans. This applies to the natural flavors used in Yogi teas as well. All natural flavors used in Yogi teas are gluten-free and non-GMO, and do not contain Mono Sodium Glutamate (MSG). How are Yogi teas decaffeinated? Yogi uses a natural steam processing or supercritical carbon dioxide to decaffeinate the teas. No chemicals are used in the decaffeination process. Because the process is completely free of chemicals, Yogi decaffeinated green teas often contain a residual amount of naturally occurring caffeine. In light of the process, Yogi does not have any green teas that are completely free of caffeine. "Certified organic" means that a product contains a minimum of 95% organic ingredients, and that the product has been certified by a United States Department of Agriculture (USDA) accredited organization. Yogi teas are certified by Quality Assurance International (QAI), an independent third party organic certifier. A product that is "made with organic ingredients" contains 70% or more organic ingredients, but does not meet all the criteria for certified organic. A small group of students in Southern California have just finished their yoga class. They are milling around, chatting, and sipping an aromatic spiced tea prepared for them by their yoga teacher, Yogi Bhajan, an inspiring teacher of holistic living who came from India to the West in 1969. Soon, the students began making the tea on their own, and that's where the story of Yogi begins. Yogi Bhajan shared his wisdom and knowledge of healthy living and the beneficial properties of herbs, all while serving a comforting and aromatic spiced tea the students affectionately named "Yogi Tea". Included in the recipe were five traditional Ayurvedic spices: cardamom seed, cinnamon bark, clove bud, ginger root and black pepper. When blended and brewed, these delicious and aromatic spices leave you feeling vibrant and alive, while supporting overall well-being. Intrigued by the complex flavor and inherent health benefits of this unique combination of spices, it wasn't long before several of the yogi's students were inspired to brew their own "Yogi Tea." In 1984, this grassroots endeavor blossomed into the Yogi Tea Company. Packages of the dried spices began to appear in natural foods stores throughout Southern California and in Europe. By 1986, Yogi Tea was distributed nationwide in three flavors. As demand increased, the spices were more finely ground, packaged, and sealed into individual tea bags. Yogi has continued to expand and evolve their tea offerings to address specific needs by creating specialized herbal formulas, blended for both flavor and healthful purpose. 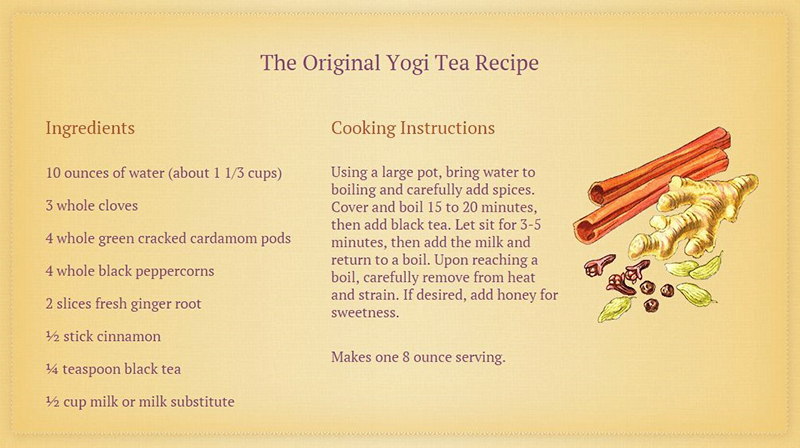 Today, Yogi has over 60 tea blends, many of which are created using the five original Yogi spices. Yogi teas are available in natural, grocery, and mass market stores in the US and Canada as well as in Europe and Japan. 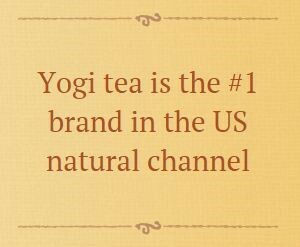 It is the strength of their people and guiding principles that have contributed to Yogi tea becoming and remaining the #1 tea brand in the US natural channel. Yogi Philosophy - "Feel Good, Be Good, Do Good." Yogi believes the purpose of business is to serve. Their company was founded on that belief and uses service as its guiding principle: "Feel Good, Be Good, Do Good." 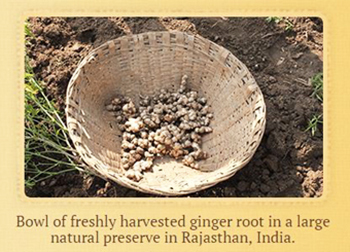 They are committed to providing healthy, natural teas that are accessible to as many people as possible. With more than 40 years of experience, they strive to support the health and well-being of consumers by incorporating the highest-quality natural and organic ingredients in Yogi teas. Yogi is dedicated to sourcing the highest quality ingredients from around the globe so that every delicious cup of Yogi tea is rich with flavor and healthful purpose. Yogi's philosophy is rooted in Ayurveda, which combines natural therapies with a balanced approach to overall health and well-being. They invite you to experience all that Yogi has to offer and achieve balance and joy in every aspect of your life. From their site-visits to the source, to packaging and quality testing, Yogi takes care that the processes measure up to their own scrutinizing standards and ensure that all Yogi teas are made sustainably, ultimately delivering unsurpassed quality in every cup. 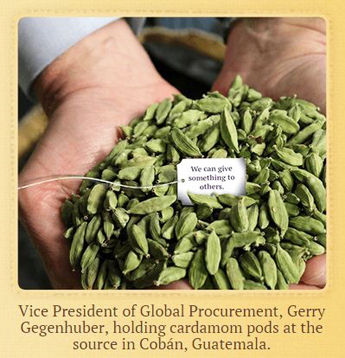 At Yogi it's not just about creating deliciously purposeful teas. With every ingredient they source, and every cup of tea they make, they strive to support quality, sustainability, and social responsibility on a local, national, and global level. Yogi embraces their founding values, as well as the values of their partners and customers, illustrating the desire to "do good" on a local, national, and global level. They do this with every ingredient they source - over 120 from more than 30 countries around the world - and through numerous programs that support quality, sustainability, and social responsibility. Yogi has been creating delicious, functional teas for more than 30 years. They believe in using whole spices and botanicals for their natural goodness and complement them with intriguing, delightful flavors - qualities that make all of their teas uniquely Yogi. Yogi is proud to partner with other local, small businesses in Oregon. Last year, through their local partner Food For Lane County they donated over 700,000 servings of tea to local food banks for distribution to people in need. Another example is their two-decade-long partnership with non-profit organization Pearl Buck Center. They provide work and vocational training to adults with developmental disabilities. The work they do for Yogi helps develop skills that can be applied to more full time positions in the community. "Building safe and joyful childhoods for orphans in Nepal." The Kumari Project is a 501(c)(3) charitable organization that is especially near and dear to Yogi's hearts. Not only does its mission to "educate and empower Nepalese orphans by providing basic health care, nutrition, education, and life skills" align with Yogi's core values, but it was founded by a Nepalese native who was adopted by a former Yogi employee. Yogi's support of The Kumari Project helps fund its efforts to pioneer a safe, long term home for female Nepalese orphans. In addition to providing stable housing and meals, this home offers forward thinking care encompassing education, physical, and emotional support services. Yogi is proud and honored to be a certified B Corporation. B Corporations use the power of business to solve social and environmental problems. Unlike traditional corporations, they are legally required to consider the impact of their decisions on their employees, suppliers, community, consumers, and environment, thus meeting higher standards of social and environmental performance, transparency, and accountability. The Rainforest Alliance is an international nonprofit organization that works to conserve biodiversity and ensure sustainable livelihoods. Yogi is proud to partner with the Rainforest Alliance and to purchase exclusively Organic Rooibos Leaf from Rainforest Alliance Certified farms. Buying Yogi products with the Rainforest Alliance Certified seal of approval safeguards the rights and well-being of workers, conserves natural resources and protects wildlife and the environment. To ensure consistency and quality, Yogi's ingredients are handled carefully, from the time they're harvested, through the manufacturing process in their organically certified facility. Yogi is extremely selective with their suppliers, and only work with those who can document that they follow the National Organic Program (NOP) for all ingredients procured from them. Yogi's sourcing team travels often to the places where the ingredients used in their teas are grown and harvested, checking to make sure both the working conditions and growing practices meet their standards. In addition, Yogi requires that all of their vendors perform Good Agricultural Practice (GAP) audits regularly. These audits focus on best agricultural practices to verify that the herbs and botanicals Yogi sources from them are produced, packed, handled, and stored in the safest manner possible to minimize risks of microbial food safety hazards. These processes ensure that Yogi teas are made to scrutinizing standards and ultimately deliver unsurpassed quality to you, the valued Yogi customer. According to the standards set forth by the NOP, Yogi strictly adheres to the prohibition of GMO ingredients and any ingredients contaminated by ionizing radiation (irradiation), artificial ingredients or sewer sludge. In addition, their facility is Organically Certified by Quality Assurance International (QAI), an independent third party organic certifier. QAI audits all of the ingredients used in Yogi teas to ensure that they adhere to the NOP's strict guidelines and regulations. For every ingredient used in Yogi teas, they conduct substance and sensory testing to verify its identity before use. This is a fundamental confirmation that the ingredient is exactly what it is purported to be. Further, with sensory identity testing, it is validated that every ingredient meets high standards for color, aroma, and taste. Yogi's top quality identity testing leads to using top quality ingredients, which lead to top quality Yogi tea products - cup after cup after cup. Yogi is actively doing their part to protect forests and reduce landfill burden. They print all of their packaging with environmentally-friendly, vegetable-based inks. They package all of their teas in 100% recycled paperboard and ship the product in cases of 100% recycled cardboard. Yogi tea packaging has a minimum 55% post-consumer waste content. Their recently updated case box uses 13% less corrugate than their previous case box. This equates to over 110,000 pounds or 1 million square feet every year! Yogi herbal blends are carefully placed into non-heat sealable paper made from a select blend of high quality manila hemp (abaca) fibers and wood pulp. The filtration paper is free of epichlorohydrin and plastic. It is oxygen bleached using a natural process that is completely free of chemicals or toxins. In addition, all Yogi tea packaging, including their tea bag filtration paper, does not contain gluten, GMOs, corn, nor any of the eight FDA recognized allergens (tree nuts, peanuts, milk, eggs, fish, crustacean shellfish, wheat or soybeans). Sewn with pure cotton strings and stapled with inert metal, every Yogi tea bag is then individually packed in heat-sealed envelopes to preserve the intrinsic health benefits of our herbs, and to maintain freshness and delicious flavor. Yogi's commitment ensures the highest quality products for you, while respecting our planet. It is their hope that this goodness shines through in every Yogi product. Yogi is privately owned and is operated by East West Tea Company, LLC. Based in Springfield, Oregon, Yogi headquarters is approximately 100 miles south of Portland, Oregon, where they have a sales and marketing office. In the beautiful Pacific Northwest they enjoy a temperate climate with abundant opportunities for outdoor and cultural activities. One hour to the west is the Pacific Ocean and picturesque Oregon coast beaches, while one hour to the east you will find the Cascade Mountains that provide for recreational activities throughout the year, including hiking and skiing. Their story begins in 1969 when Yogi Bhajan, an inspired and inspiring teacher of holistic living, started teaching yoga in America. He shared the wisdom and knowledge of Ayurveda and healthy living that he had mastered in India with his students while serving a specially spiced tea, which they affectionately named "Yogi Tea." The recipe contained five traditional Ayurvedic spices: cardamom seed, cinnamon bark, clove bud, ginger root and black pepper. When blended and brewed, these delicious spices leave you feeling vibrant and alive, while boosting overall well-being. Intrigued by the complex flavor and inherent health benefits of this unique combination of spices, it wasn't long before several of the yogi's students were inspired to brew their own "Yogi Tea." In 1984 this grassroots endeavor blossomed into the Yogi Tea Company. Packages of the rough, dried spices began to appear in natural foods stores throughout Southern California. As demand increased, the spices were more finely ground, packaged and sealed into individual tea bags. By 1986, Yogi Tea was distributed nationwide in three flavors.Yogi has continued to expand and evolve their tea offerings to address specific health needs by creating specialized herbal formulas, blended for both flavor and purpose. Today, Yogi has over 60 tea blends, many of which are created using the five original Yogi spices.The holistic teachings of Ayurveda and healthy living are the inspiration behind Yogi. These teachings continue to inform how they develop their products, and they honor and reflect them through the Yogi Principles.